Lowry announced on The Players’ Tribune site Sunday that he will re-sign with the Raptors, adding that it was an easy decision. Lowry will sign a three-year deal worth $100 million, according to a person with knowledge of the negotiations who spoke to The Associated Press on condition of anonymity because terms were not revealed publicly. The three-time All-Star averaged 22.4 points and 7.0 assists last season for the Raptors, who also struck a deal to retain forward Serge Ibaka earlier Sunday. So Toronto’s star-powered backcourt is now set for at least the next three years, after shooting guard DeMar DeRozan got a five-year deal worth $139 million last summer. Lowry and DeRozan led Toronto to the Eastern Conference finals in 2016, and the Raptors were out in the second round this year in part because Lowry got hurt during the postseason. 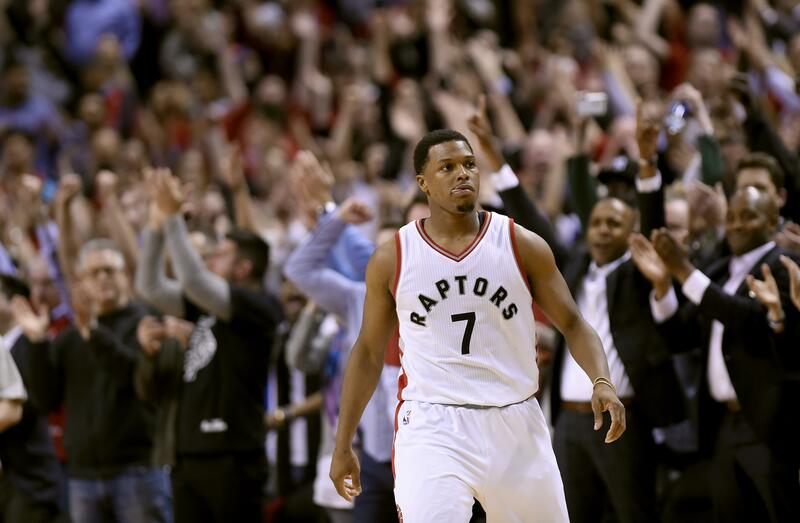 “I don’t think we’ve reached our true potential,” Lowry wrote. He was one of the most-coveted point guards on the market this summer, perhaps only behind Golden State’s Stephen Curry. And he’s going back to a team that has posted consecutive 50-win seasons and reached the playoffs in each of the last four years. “I’m coming back to Toronto because my heart is telling me that it’s home,” said Lowry, noting that he still hasn’t had poutine – a wildly popular dish in Canada. When Toronto got Ibaka before the trade deadline last season, the Raptors made clear they had no intentions of letting him walk away this summer in free agency. Now that’s been proven. Ibaka agreed to terms on a three-year contract worth $65 million, a person with knowledge of the negotiations told AP, speaking on condition of anonymity because the deal cannot be signed until the NBA’s offseason moratorium ends on Thursday. The 27-year-old Ibaka was traded to Toronto from Orlando late last season. He averaged 14.2 points and 6.8 rebounds in 23 games with the Raptors. “His style of play fits our style of play,” Raptors coach Dwane Casey said when the trade was made. Toronto clearly hasn’t changed its thinking. Ibaka is one of only 13 players in NBA history to make 100 3-pointers and record 100 blocks in the same season; he did it last season, along with Karl-Anthony Towns, Kristaps Porzingis and Brook Lopez. He was acquired in exchange for Terrence Ross and a first-round draft pick – a big price that would have looked even bigger if the Raptors had lost Ibaka for nothing this summer. Entering his ninth NBA season, Ibaka has career averages of 12 points and 7.3 rebounds. Ibaka spent his first seven NBA seasons in Oklahoma City, helping the Thunder reach the 2012 NBA Finals against Miami. Published: July 2, 2017, 8:05 p.m. Updated: July 2, 2017, 10:05 p.m.